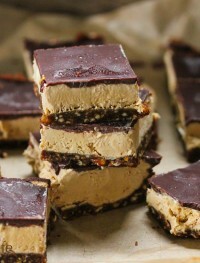 Let me start by saying that these coffee cream bars have become one of my ultimate favorite treats. 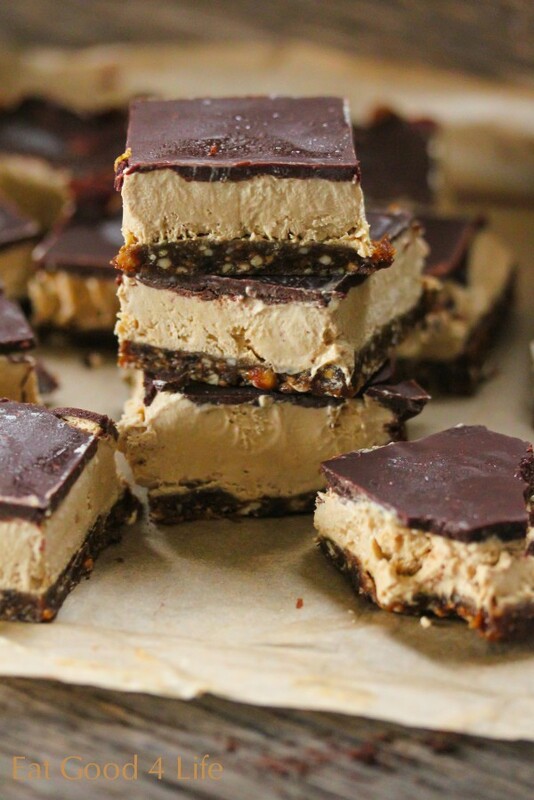 The first day I made these coffee cream bars I had 4 pieces. They are just plain awesome. I think I have discovered my most favorite dessert ever. While I have made three different type of cream bars already these are by far my favorite. I love coffee flavor anything, even though I don’t drink coffee. 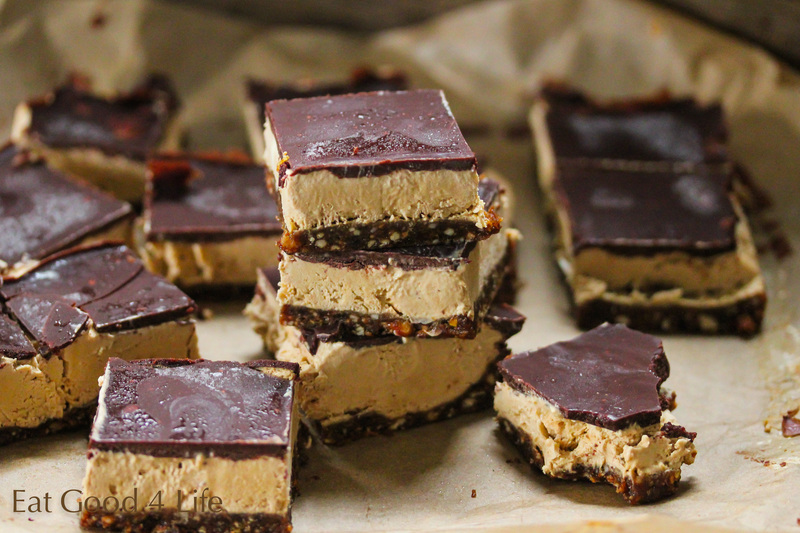 I used to make a frozen tiramisu that tasted exactly just like these coffee cream bars. The big difference here is that these are much easier to make and a lot healthier for you. I will be posting the raspberry cream bars shortly so don’t despair, I just have quite a few recipes to catch up on. A few notes about these coffee cream bars. I added two tablespoons of Kahlua liquor. You can also use Baileys, either one is great, but if you would like to omit the liquor all together the cream bars will still be just fine. Make sure you keep these in the freezer. Just thaw them 10 minutes before eating. If the crust doesn’t come together add 2 tablespoons of water. I did. I am going to try to make more coffee desserts. I don’t have that many recipes with coffee in my blog but the fact that I love coffee so much you will think I would. 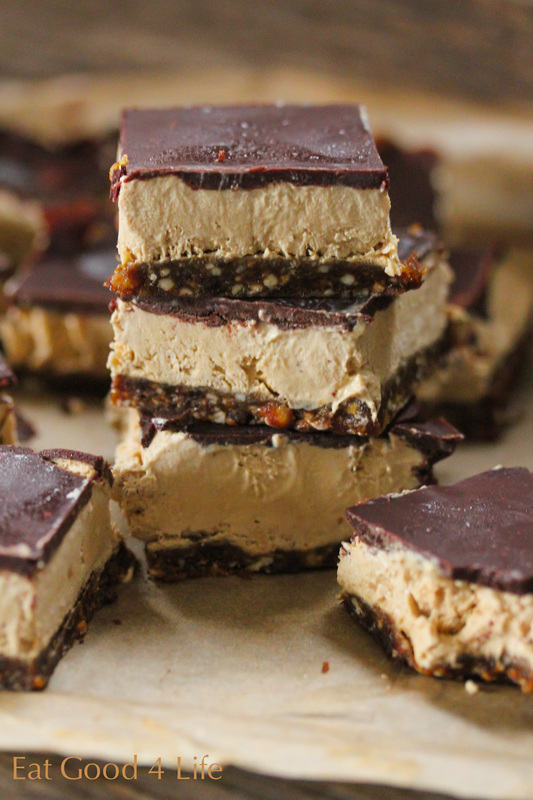 I hope you get to try these coffee cream bars. They are truly out of this world. These are truly my ultimate favorite cream bars and dessert of all time. It is vegan, gluten free and so much healthier for you than any other cream bars out there. I am going to experiment on this recipe and come with more intricate and unique flavors so stay tuned. Place the crust ingredients in your food processor and pulse until combine or until the mixture is coming together. With a spatula press evenly into the bottom of a 8×8-inch square baking pan previously lined with unbleached parchment paper. Blend the filling ingredients in the food processor until smooth and spread evenly over the crust. Freeze while you prepare the topping. I freeze mine for at least 45 minutes before I pour the topping over it. If solid, melt the coconut in the microwave. In a small bowl mix the topping ingredients and pour over the middle layer making sure to spread it evenly. Freeze bars until firm. To serve, let the bars thaw at room temperature for 10-15 minutes and cut as desired. Note: Make sure the coconut cream that you are using is full fat and that has at least 9 grams total fat per serving. The one I used had 16 grams and was from trader joes but they have discontinued that kind.